What’s your first thought when you hear Tequila? No, not that one….exactly, the other one: a red sombrero.Everybody I know has a Tequila story and there is no way to get through your teens without your fair share of lemon, salt and some questionable decisions. And this may have been exactly the reason why most people associate Tequila with bad hang-overs and regret. The biggest challenge for the Tequila industry in our area code is to turn around the business and position itself differently like Gin did during the last few years. From binge drinking to sophisticated alcoholism. Tequila was (and still is) mostly mis-sold and marketed as the liquor for shots. Nobody really cared about flavour or quality and in case you wanted to act fancy you just order an aged tequila with a slice of orange and cinnamon. 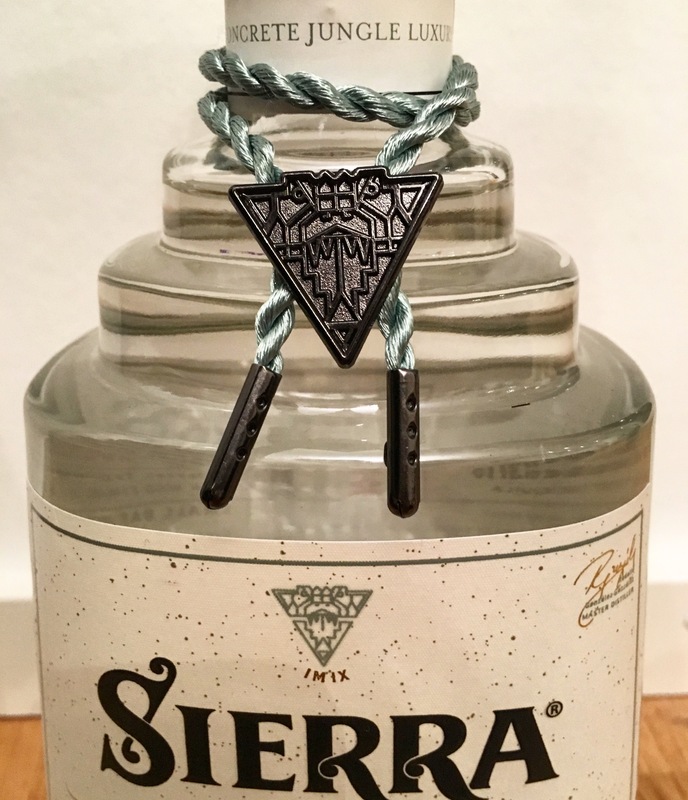 Sierra Millenario has just launched a new Fumado Tequila to jump on the bandwagon. It is the first Tequila produced with a unique method whereby the agave is fumigated together with wood of mesquite trees. The result? A smokey premium Tequila that has a “gentle heat and a long, pleasant smokiness paired with a hint of chilli”. And you though it just burned down your throat. The thing that strikes you most, besides the flavour, is the design of the new bottle. The bottles are shaped after Aztec Pyramids and each bottle comes with its own individual symbol hanging from the bottleneck. Funny enough it is a Mayan zodiac sign – no worries, I can’t distinguish the Greek from the Roman gods either, unless it is my man Bacchus. 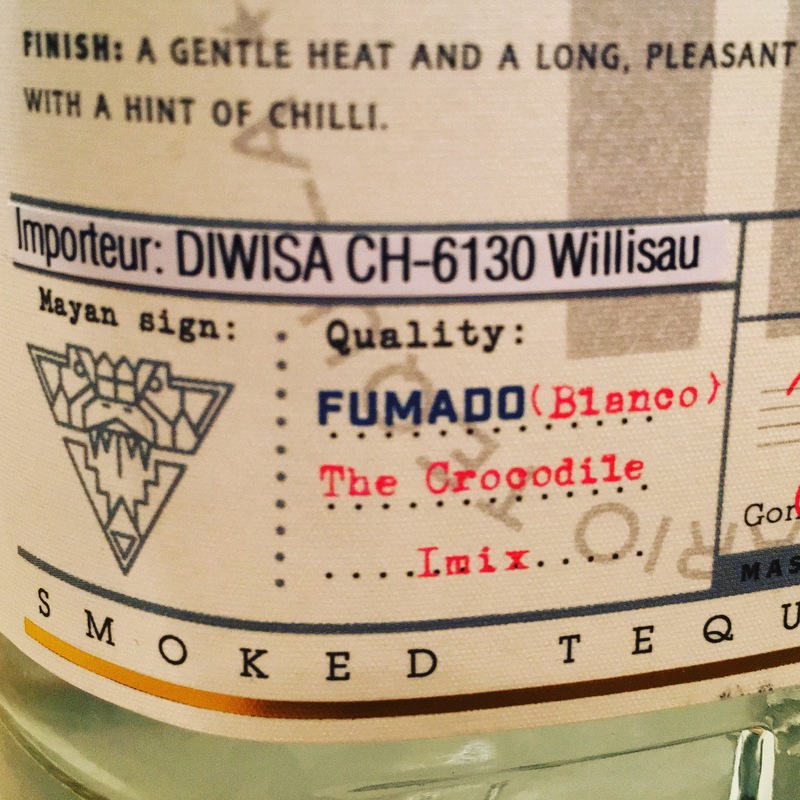 The fumado represents the IMIX, which is sign for the crocodile. In any case a nice detail and definitely an eye-catcher for every bar. Special thanks to Marco for upgrading my home bar. Posted in Food, Home and tagged agave, alcohol, bar, barkeeper, barman, barmen, beverage, diwisa, drinks, fumado, lemon, mariachi, mexico, millenario, mixology, nightlife, premium, salt, sierra, sierratequila, sombrero, tequila. Bookmark the permalink.